Want to send good girls or boys old-style personalized letters from Santa? 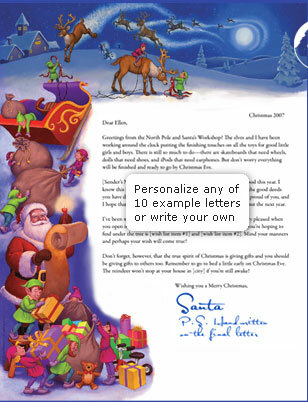 Click2Mail (C2M), the nation’s most comprehensive digital-to-print mailing service, is once again offering its popular “Remind Santa” letter, a beautifully illustrated, completely personalized letter, hand signed by St. Nick himself. A distinctive keepsake that recipients will cherish for years. It’s also a fun way to celebrate the holiday with colleagues, friends, and family. The process could not be any easier. Go to http://remindsanta.click2mail.com/, choose a pre-composed template, customize the text and you’re done! One letter is only $6.99 or five for $30 anywhere in the US and its territories (additional 62 cents postage each for international). If you order letters by December 8, they will be mailed to recipients from Alaska with a genuine “North Pole” postmark. Letters are beautifully illustrated. Designs include a specially commissioned illustration by award-winning children’s book illustrator John Steven Gurney. 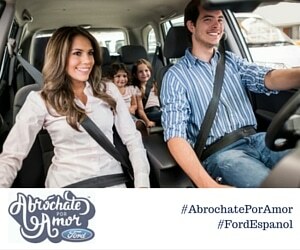 Your message can be completely customized. Choose from several stationary designs and compose your letter. C2M offers 10 pre-composed letters – everything from a “good deeds and wish list” for children to a humorous “lump of coal” warning for grownups. View at https://remindsanta.click2mail.com/letter-sleigh. Letters are signed by Santa himself. Each letter contains a handwritten signature and personalized P.S., in a hand-addressed envelope. Click2Mail donates $1 from each letter to the National Center for Missing and Exploited Children. This entry was posted in Holidays, Raising Tweens and tagged Santa. Bookmark the permalink. ← [Ask Lina] What’s the best method to discpline my child? yay morran! i had a friend that had a lumpy dog recently, and it turned out to be just fat lumps too. always a relief when our canine friends are well.